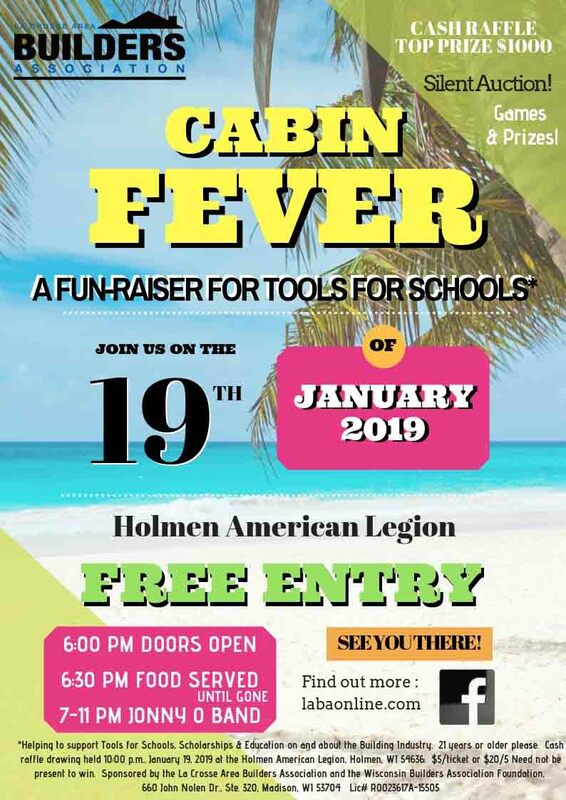 Cabin Fever 2018 was held Saturday, January 20 at the Holmen American Legion. This is a fun-raiser to help support tools for schools, scholarships, and education on and about the building industry! Items from last year’s Cabin Fever!